Afghanistan registered their first Test victory after Rahmat Shah’s second fifty of the match helped secure their seven-wicket win against Ireland in a one-off contest in Dehradun on Monday. Chasing 147 for the victory, Afghanistan rode a 139-run stand between Shah and Ihsanullah Janat to romp home for a memorable win nine months after their chastening test debut against India. Ireland were on the backfoot from the opening day when they were they were bowled out for 172 at the Rajiv Gandhi Stadium. Afghanistan responded with a total of 314 all out to secure a healthy first innings lead. In-form Andrew Balbirnie top-scored with 82 in a much-improved second-innings batting display from Ireland but leg-spinner Rashid Khan’s maiden five-wicket haul restricted them to 288 all out. “Any multi-day game, we had to capitalise in the first innings,” Ireland captain William Porterfield said. “If we’d done how we’d done in the second innings then, it could have been a completely different game. 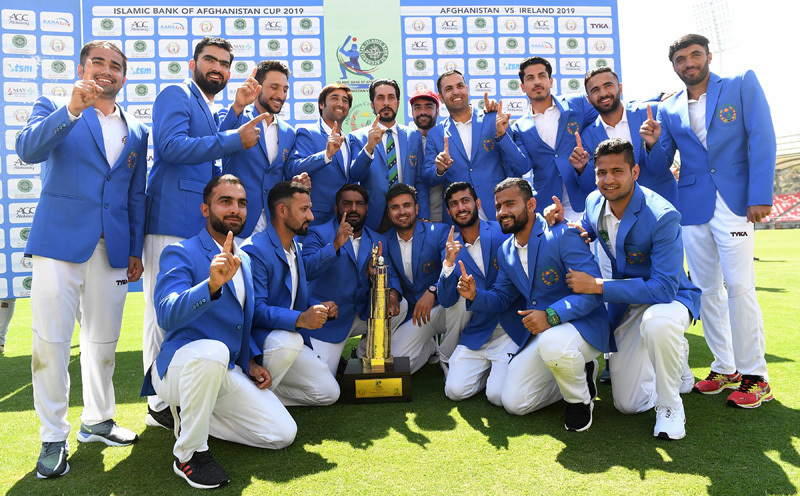 But credit to Afghanistan, they outplayed us.” Both Ireland and Afghanistan were playing their second-ever Test since being awarded a full member status in 2017. The Irish side’s home debut ended in a defeat by Pakistan in a hard-fought contest last May, while Afghanistan succumbed inside two days against top-ranked India a month later in Bengaluru. Earlier, Afghanistan had won the Twenty20 series 3-0 at their adopted home in Dehradun before Ireland rebounded in the one-day series, which ended in a 2-2 draw.